Pop Quiz 13 1. 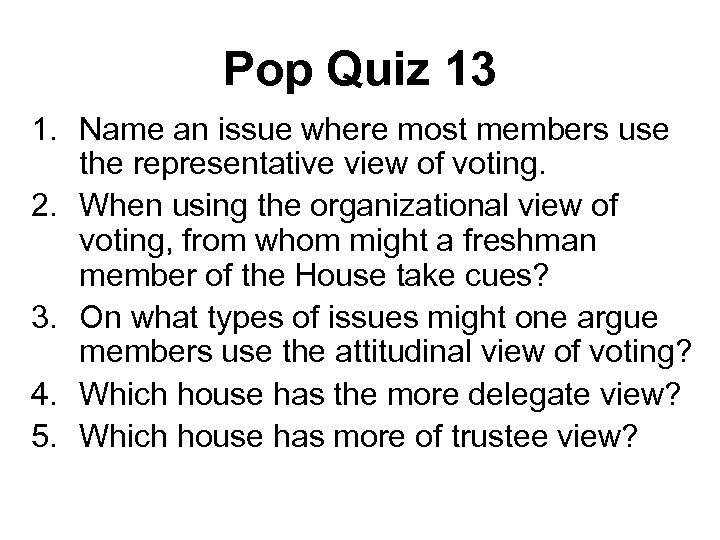 Name an issue where most members use the representative view of voting. 2. 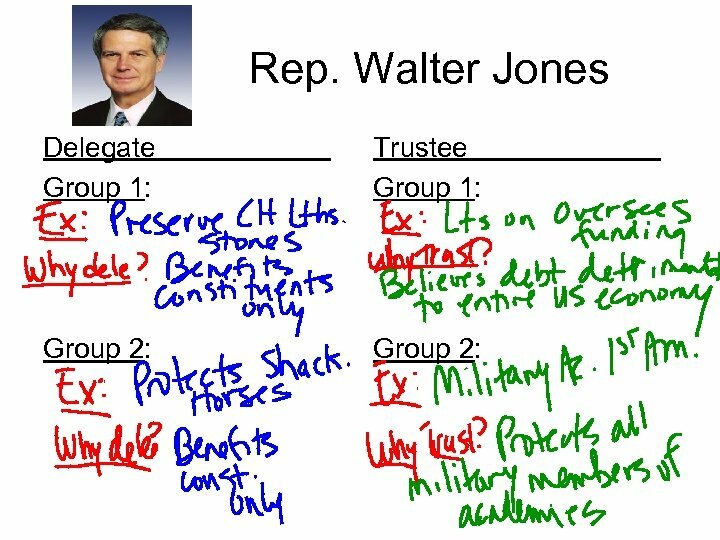 When using the organizational view of voting, from whom might a freshman member of the House take cues? 3. On what types of issues might one argue members use the attitudinal view of voting? 4. Which house has the more delegate view? 5. Which house has more of trustee view? 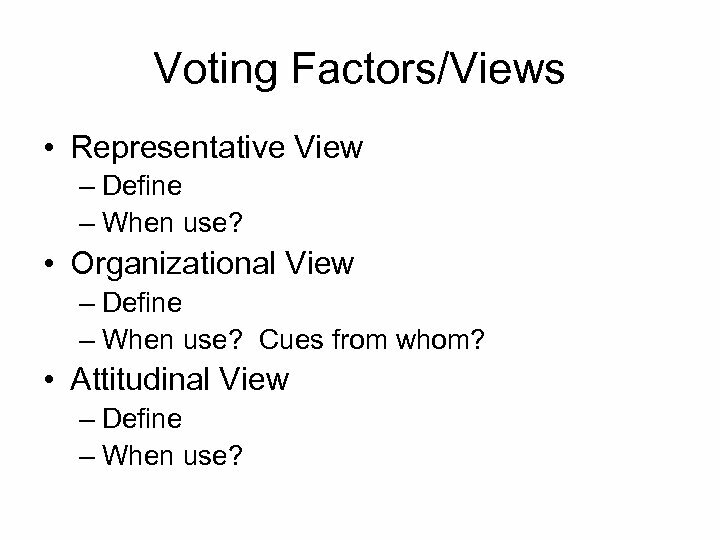 Voting Factors/Views • Representative View – Define – When use? • Organizational View – Define – When use? Cues from whom? • Attitudinal View – Define – When use? 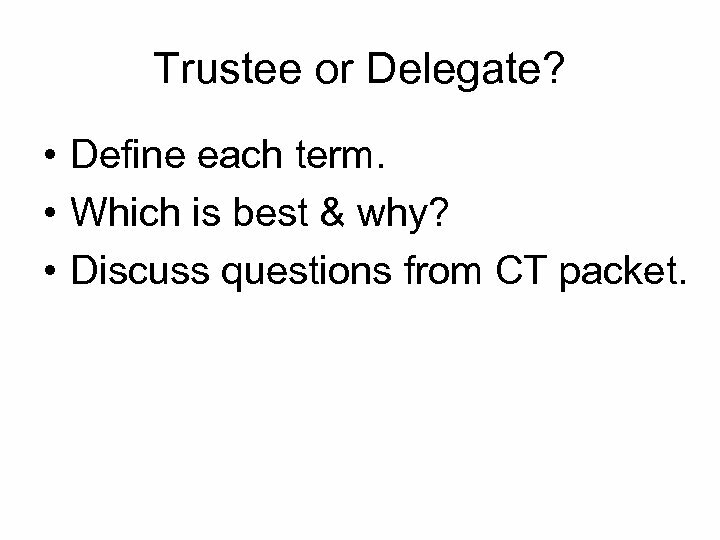 Trustee or Delegate? • Define each term. • Which is best & why? • Discuss questions from CT packet. 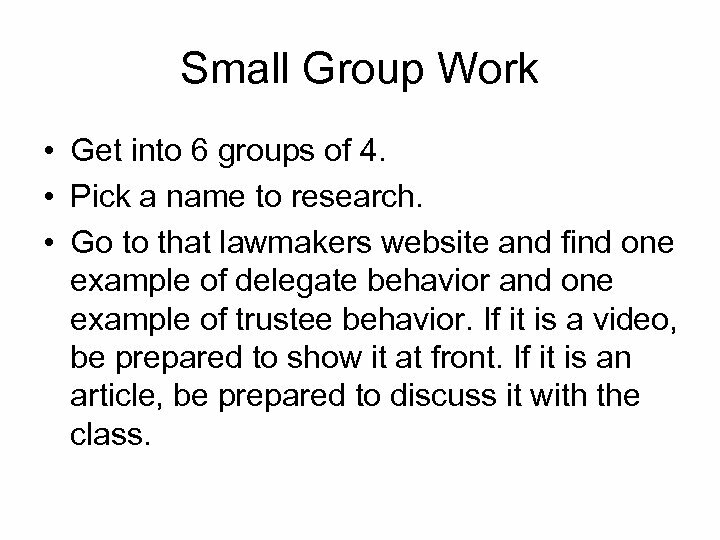 Small Group Work • Get into 6 groups of 4. • Pick a name to research. 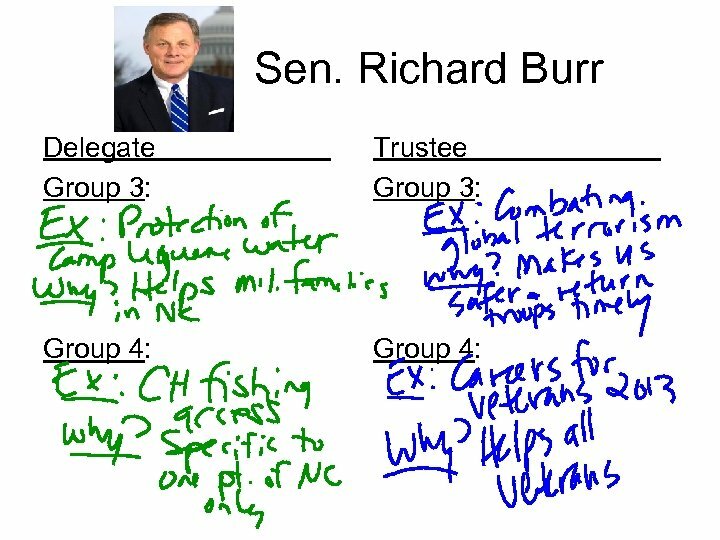 • Go to that lawmakers website and find one example of delegate behavior and one example of trustee behavior. If it is a video, be prepared to show it at front. If it is an article, be prepared to discuss it with the class. 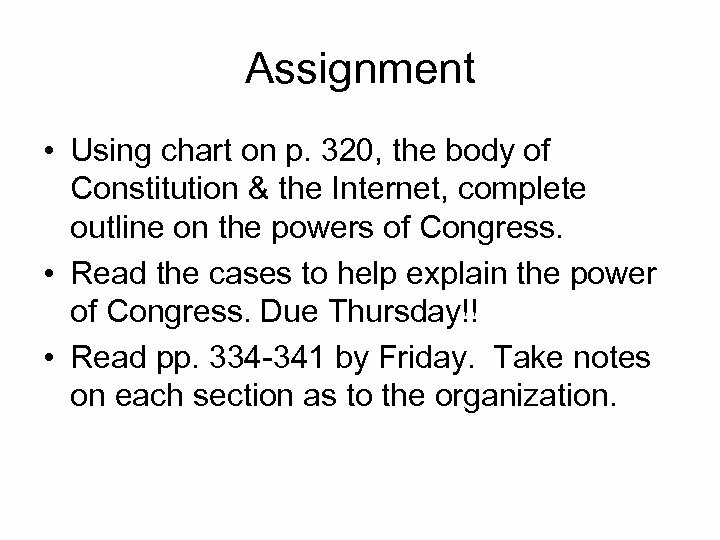 Assignment • Using chart on p. 320, the body of Constitution & the Internet, complete outline on the powers of Congress. 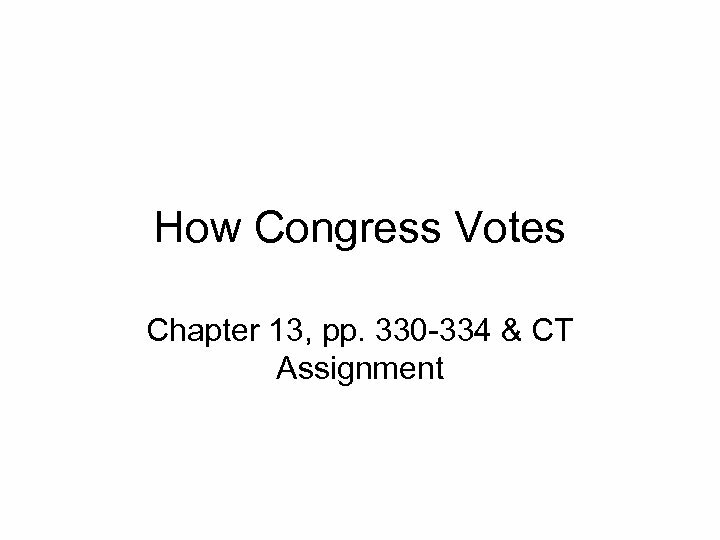 • Read the cases to help explain the power of Congress. Due Thursday!! • Read pp. 334 -341 by Friday. Take notes on each section as to the organization.